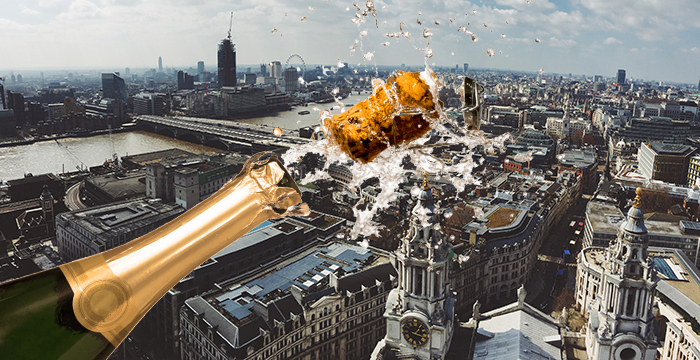 Another batch of City law firms have released their 2018 financial figures — and it’s backslapping and champagne all round. First up, Macfarlanes. The single-office outfit reported an operating profit of £107 million, up almost a quarter on the previous 12 months, while profit per equity partner (PEP) jumped by a whopping 25.5% to £1.7 million. The outfit’s turnover hit a cool £201.5 million, an increase of 20%. Not to be outdone, national player Addleshaw Goddard trumpeted record results this year, with global revenue hitting £242 million, a rise of 23%. Profits for the 2017/18 financial year grew 36% to £87 million, marking the fourth consecutive year of revenue and profit growth for the firm. Last summer Addleshaws expanded into Scotland through a merger with Scottish outfit HBJ Gateley, creating, at the time, the UK’s 15th largest law firm. Over the past year or so it has welcomed around 30 new partners across England, Scotland, Asia and the Middle East. Next up, shipping and insurance specialist Clyde & Co. PEP climbed a modest 1.5% to £660,000, while net profit jumped to £140.5 million, up 10% on last year’s result of £127.6 million. Firmwide revenue rose to £551.3 million. Finally, national outfit Mills & Reeve said it had enjoyed a reported record turnover of £106 million, up 14% on last year. The firm — which has offices in Cambridge, Birmingham, Manchester and Norwich — also announced a staff bonus pool £2 million, equivalent to 7% of the firm’s total salary bill. It didn’t disclose its profit results but did confirm turnover rose by hefty 14% to £106.3 million. All these got news and increase in profits, yet the so called staff that they value and invest in do not get to see or enjoy any of it, not even a raise. Poor you, now get back to billing! What spoils are those, please do tell. A decent wedge which is probably minimum 10x the national average salary. Macs have obviously had a stellar year, no denying it. Those financials are impressive, no matter how lame “Macs aren’t a US firm blah blah blah” you think they are. Yes, a very good set of results. Isn’t the City meant to be melting down because of Brexit? Any insider info on FIELDFISHER? What’s the firm like? Is it good to train there in order to move to Kirkland as an NQ? Any inside info on Just Cost Solicitors? Hoping to make the jump to Cravath in New York after qualification. What about RPC? Anyone have any info on what it’s like to work there? I’m really thinking of moving to a big NYC shop like Skadden or Weil once I qualify – is that possible? RPC are a great firm. Train there and stay there. Thanks. That’ll keep the sponsorship pennies rolling in. In addition to it being a bad idea to so openly state that you wish to qualify with a firm that didn’t train you, you should drop the idea altogether. Firms aren’t keen on spending £25,000 to train someone who wont go on to qualify with them, so if they catch even a whiff of that sentiment from you, you’re out. When will DWF raise London salaries? £59k is beginning to look humiliatingly low. Regions at 38k (Scotland at 36) is low too. Know some NQ’s unaware of this took lower too! It’s still a large salary for a 24 year old NQ. DWFs profits go into the MPs own pockets. But that’s what narcissist do. Are all MPs narcissists. No. So, DWF that’s your problem. Good one AG – now, raise our salaries… I dare you.